Car insurance is absolutely required if you wish to drive a car or run the risk of a large fine or even worse. Our car insurance guide explains the car insurance market and the legal aspects of insuring your vehicle, while also explaining the different types of cover you can get. At its most basic, car insurance protects you, your car, and other people from the consequences of any road accident you might be involved in. It provides financial compensation to cover any damage to property, or injuries to other drivers, passengers, or pedestrians. In the UK, the Road Traffic Act 1988 says all motorists must be insured against their liability to other people, so whether you drive a car, van, or motorbike, the law says you must have insurance. What's the penalty for driving without car insurance? Driving without car insurance is an offence for which you could be fined or disqualified from driving. The maximum fine is £5,000 with an added six to eight penalty points on your licence, while the Road Safety Act of 2006 allows for harsher sentences for drivers who kill or are involved in accidents while driving uninsured. The police also have the power to seize, and in some cases, destroy any vehicle found to be driven uninsured. Vehicles seized can only be released by showing a valid insurance certificate and on payment of a fixed penalty. Do I need car insurance for a car that never goes on the road? No. If you own a car that is kept off-road, it needs to have a SORN (Statutory Off Road Notification) in force. All other UK registered vehicles must be taxed if used or kept on public roads. It costs nothing to make a SORN but if you later decide to drive the car on public roads again, you’ll need to contact the DVLA and get it re-taxed. What different types of car insurance are there? 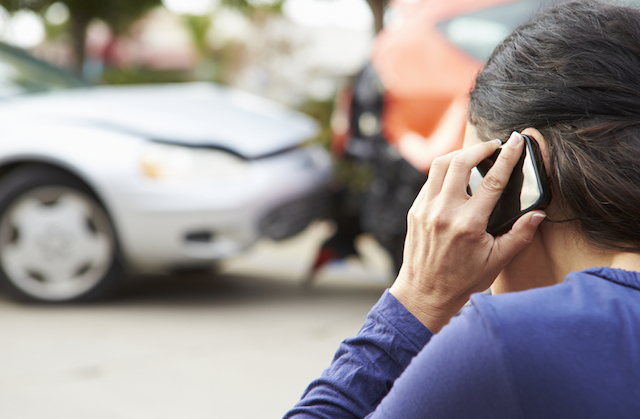 If you can handle paying for the damage to your own car yourself, then third party car insurance could work out, but it's never possible to predict how badly your car will be damaged after an accident. Third party, fire and theft car insurance is the same as third party but provides additional cover if your car is damaged in a fire or stolen. Insurers will weigh up how much risk your car is exposed to in terms of fire damage and theft, so anything that proves you can mitigate that will work in your favour. Comprehensive car insurance, or ‘fully-comprehensive’ insurance, is the highest level of cover and insures against the cost of repairing or replacing your car if it’s involved in an accident, regardless of blame. Comprehensive cover can sometimes include additional extras such as medical expenses, legal cover, and cover for personal items in your car. The cost of each type of cover does not necessarily depend on how comprehensive they are. While it may seem logical for third party car insurance to cost less, that's not always the case. Fully comprehensive cover may actually be cheaper for some drivers, so it's important to compare all levels of cover when shopping around. What factors affect how much I pay for car insurance? Having a driving offence, such as skipping a red traffic light, might also affect how much you pay for your car insurance. Prices vary depending on the seriousness of the offence – for example, a driver with a drink driving conviction would certainly face higher premiums. What is a no-claims bonus or discount? For each year you have car insurance and don’t make a claim, you’ll get a discount on the following year’s premium – this is known as a no-claims bonus. Some insurers will have special discounts even for those who only have their no-claims bonus streak broken by an accident that wasn't their fault, but generally even that will break your no-claims discount. See our guide for more information and to see how much you could save with a no-claims bonus. An excess is the amount you will have to pay towards the cost of any insurance claim. There are two types of excess: voluntary, which means you can decide whether to include one and its amount, and compulsory, which is set by the insurer. Increasing the voluntary excess will often give you a cheaper premium, but it can also have little or no effect on quotes. When comparing car insurance, it's important to vary excess levels to see how much your quote changes. If you're looking for car insurance for a young driver, then it's likely that increasing your voluntary excess may have no effect on your quote.